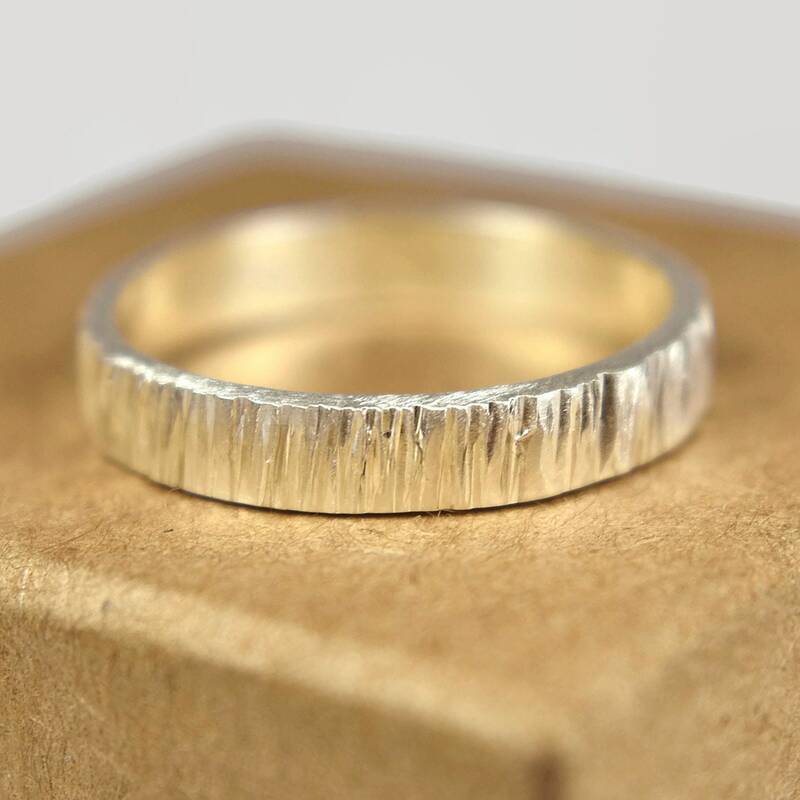 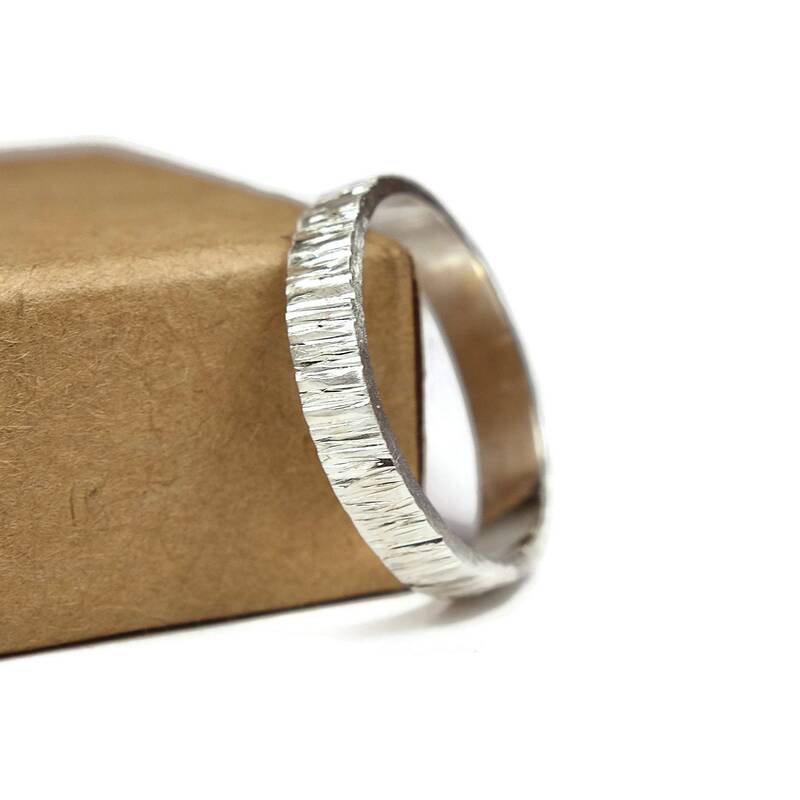 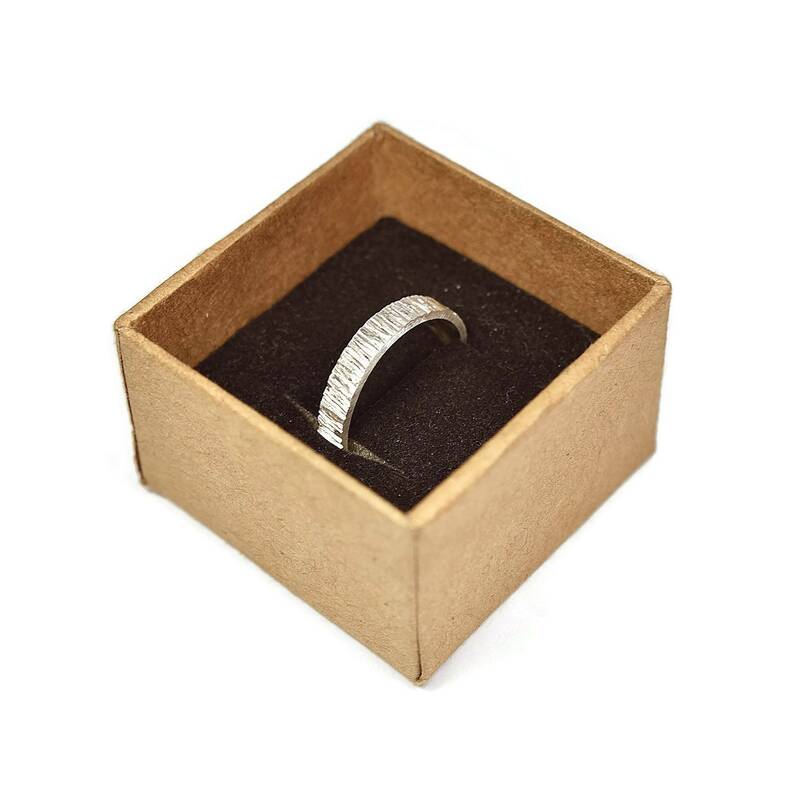 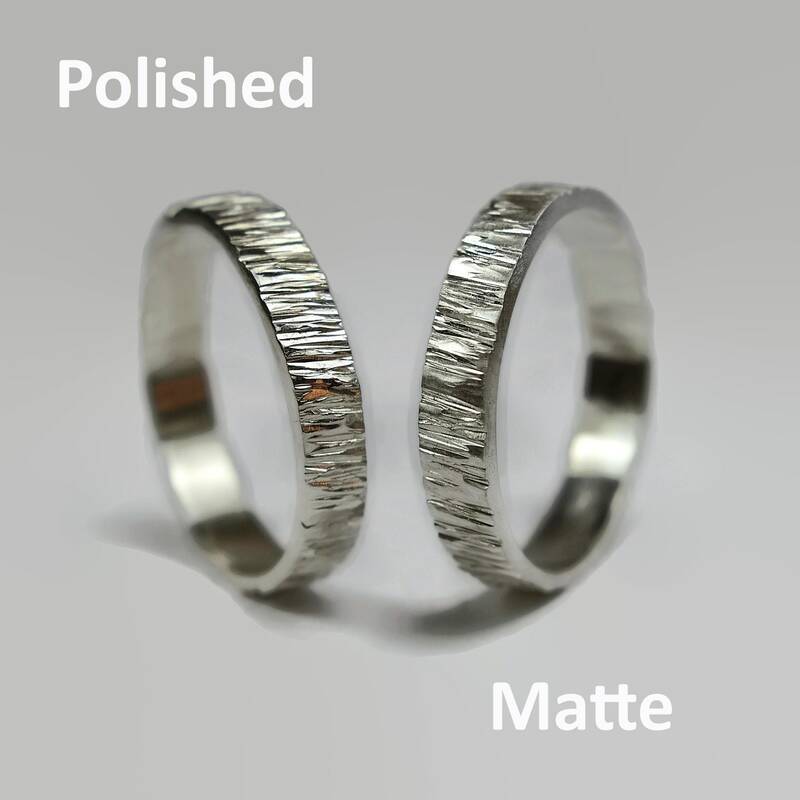 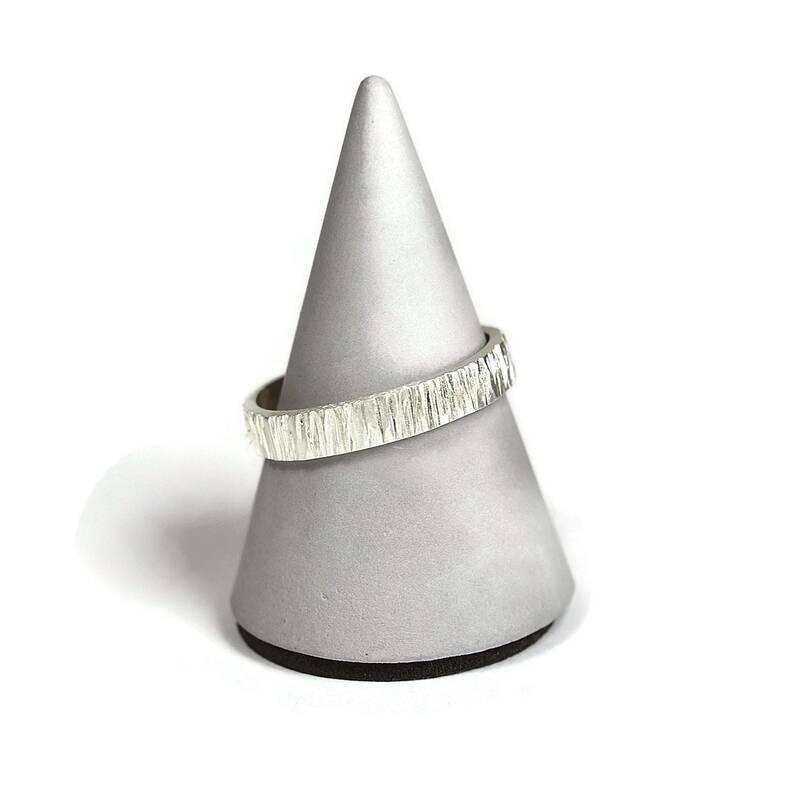 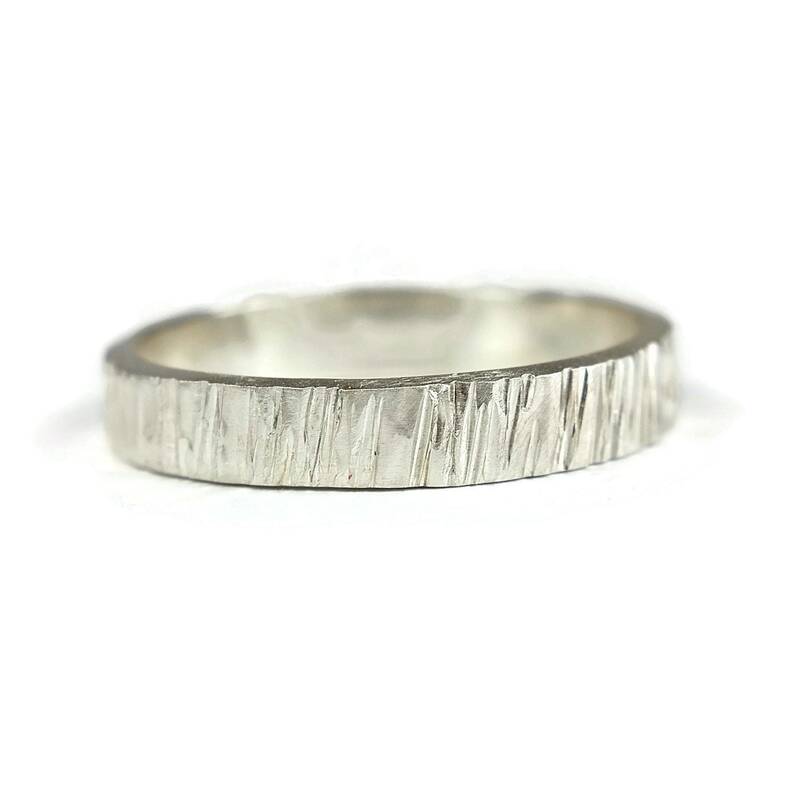 This rustic ring has a flat shape. 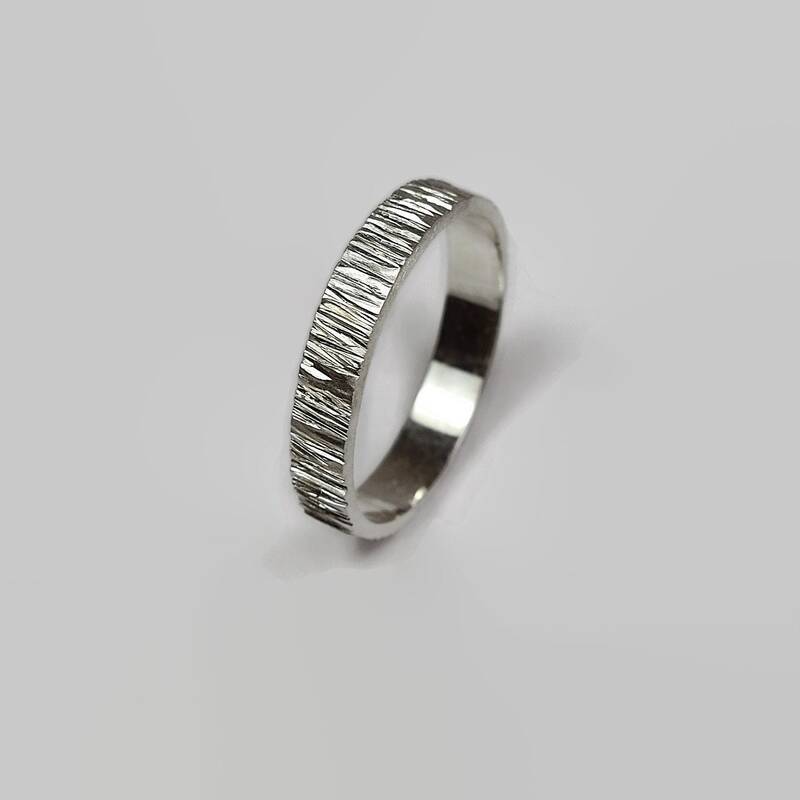 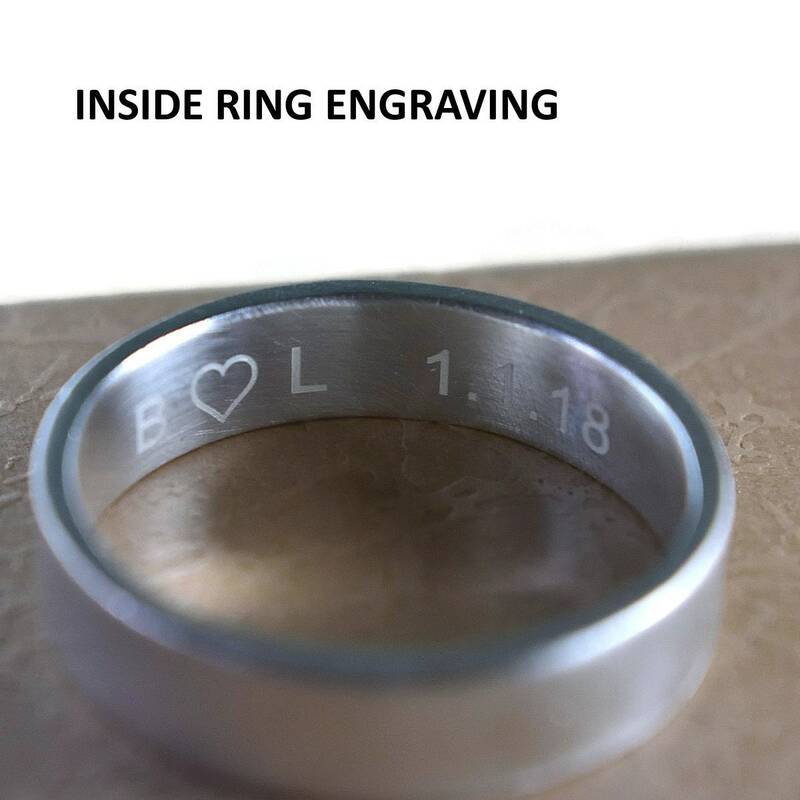 It's made of sterling silver and designed for men and women. 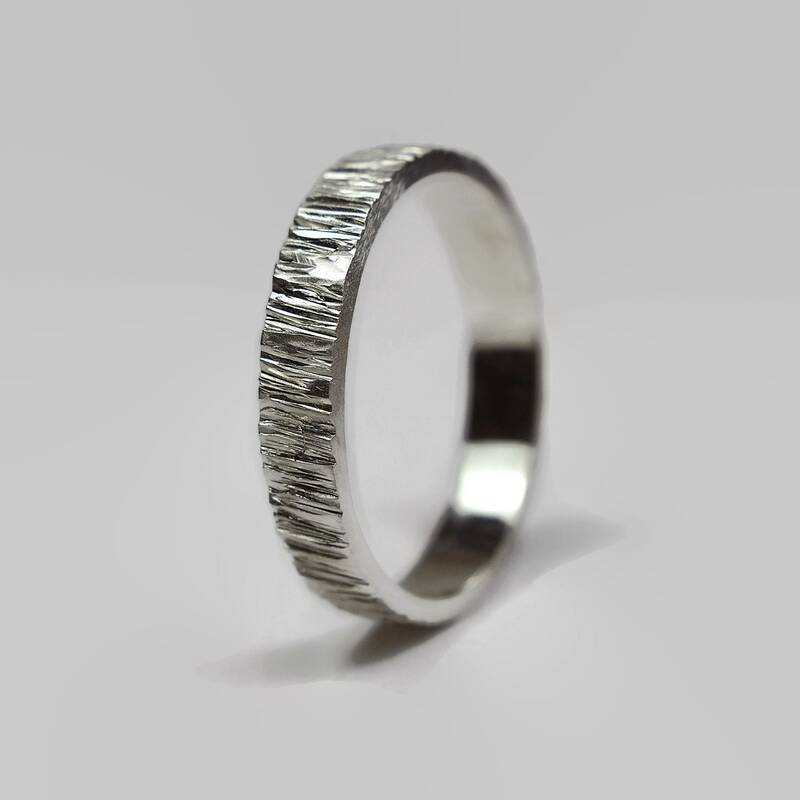 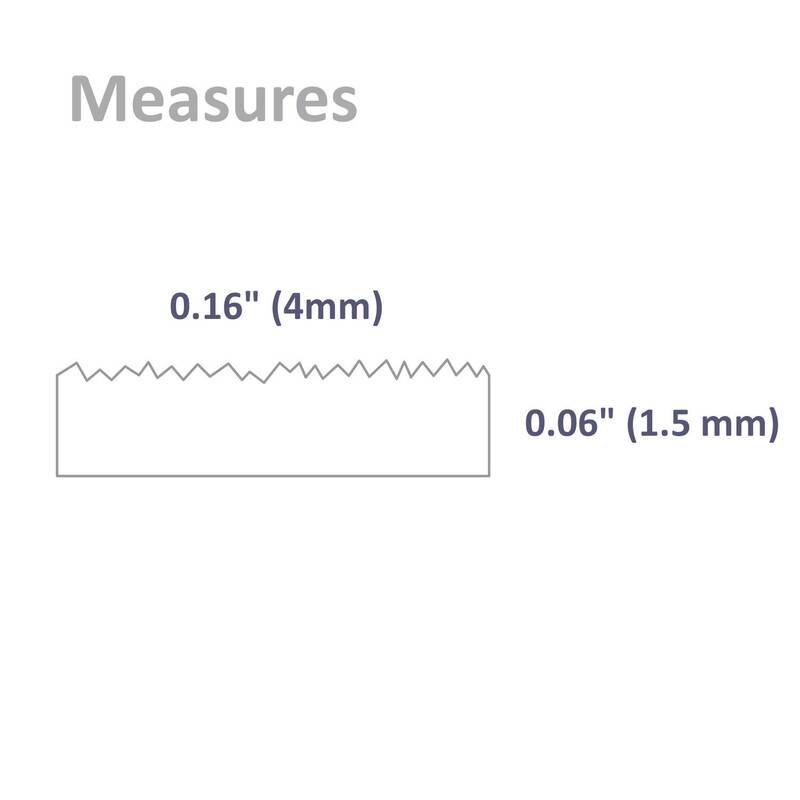 It has a wood grain texture giving it a tree bark look and the matte finish gives a minimalist appearance.